Do you use Google Drive or Google Classroom? Are you trying to incorporate technology and increase student engagement? 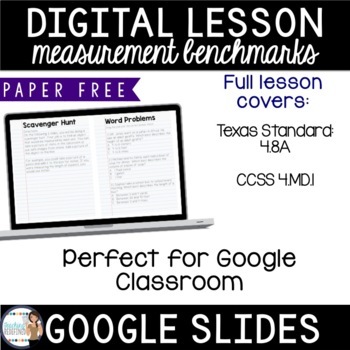 This digital lesson will help you do all of that while mastering Texas and Common Core standards of measurement benchmarks. 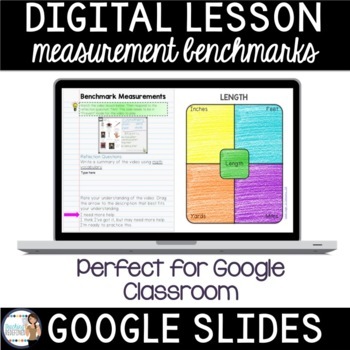 -With this download, you will be given a link to a Google Slide. Want to save money? Check out my bundles! 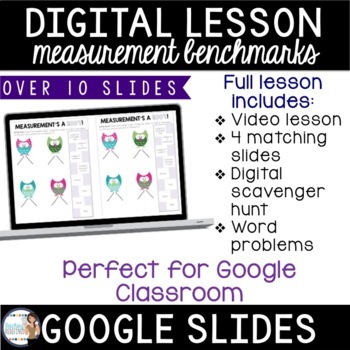 Looking for more Google Slide lessons? Please note that this resource is for use by one teacher only. Additional teachers must purchase their own license. You may not upload this resource to the internet in any form. If you are a coach, principal or district interested in purchasing several licenses, please contact me for a quote.